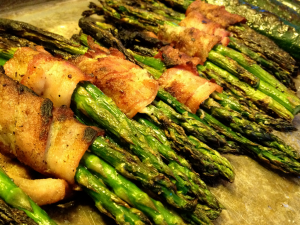 Another Quick and easy recipe I decided to try was the bacon wrapped asparagus bundles. 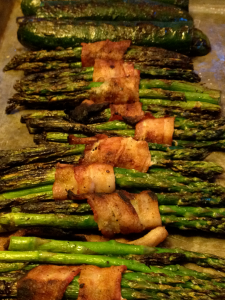 I was grilling some bratwurst and thought this would be a great side to go with them. I was right these were amazing. 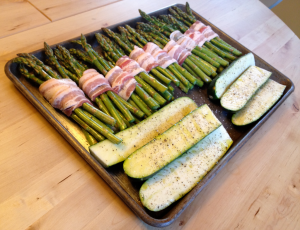 I started by taking the asparagus and lightly coating them with olive oil then seasoning it with coarse salt and black pepper. Next I took 5-6 spears and wrapped a piece of center cut bacon around the middle. 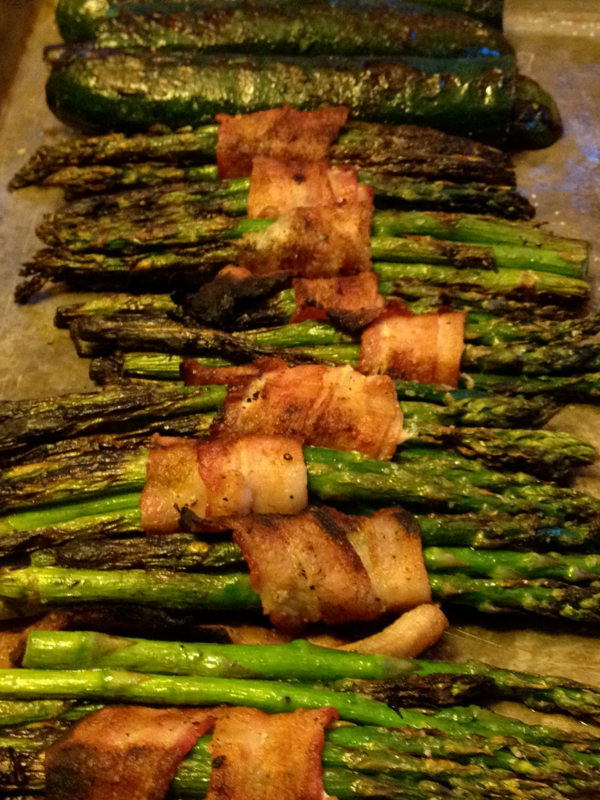 I grilled these on indirect heat for most of the time to make sure the bacon would be browned and crispy. You also want to make sure you don’t handle the bundles too much or they may fall apart on you. They will be done when the bacon is browned and the asparagus is tender.I served this next to some wonderful grilled zucchini and bratwurst. Enjoy!